"Thomas & Friends(TM): Read & Play" Learning App/e-book Launches Globally | Mattel Inc.
HONG KONG, Dec. 8, 2016 /PRNewswire/ -- 'All Aboard!' Animoca Brands (ASX: AB1) and Mattel Inc. (Nasdaq: MAT) today announced the global availability of Thomas & Friends™: Read & Play, the subscription-based children's entertainment and learning mobile app based on Mattel's popular preschool franchise Thomas & Friends™. Thomas & Friends: Read & Play is now available for iPhone®, iPad® and iPod touch® on the App Store℠. It is also available in Early Access on Google Play™ for Android™ devices. Featuring Thomas the Tank Engine™, Gordon, James, Percy and other characters from Thomas & Friends, the new app offers a broad range of fun and educational content and activities delivered in an interactive e-book format. Thomas & Friends: Read & Play encourages preschool children and emergent readers to learn in a Thomas-themed environment. The app includes a range of e-books, videos, games, creation tools and other educational or entertainment activities that a child can enjoy alone or with parents or friends. The app features well-loved characters like Thomas the Tank Engine, Sir Topham Hatt, Cranky the Crane, Toby the Tram and many other denizens of the island of Sodor. Thomas & Friends: Read & Play provides children with a fun and interactive learning experience based on material that they already love. 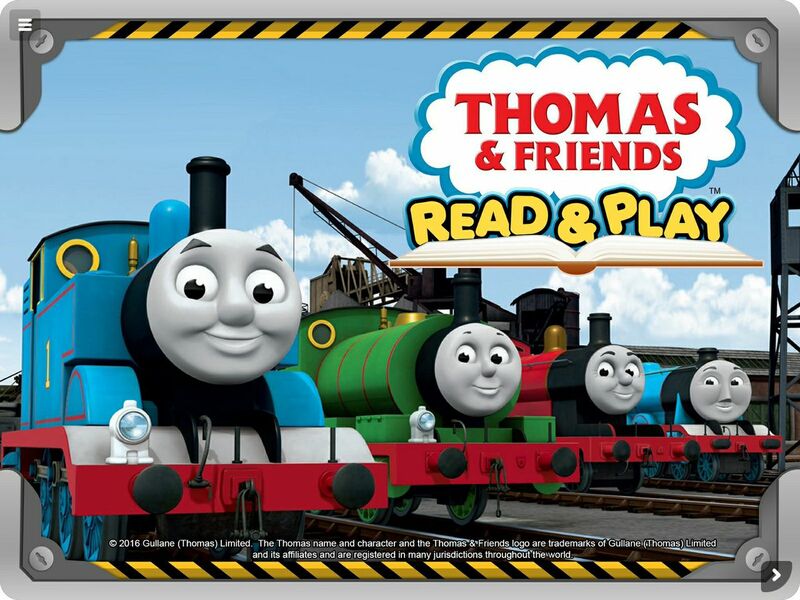 Thomas & Friends: Read & Play is available for a subscription fee (US$ 4.99/month), which unlocks access to all available content and all weekly updates. A trial version is available free of charge. Mattel and Animoca Brands partnered in May 2015 and have since published six mobile games based on well-known Mattel brands, including Thomas & Friends™, Ever After High™, Monster High™, and Masters of the Universe™. With the launch of Thomas & Friends: Read & Play, Animoca Brands continues to diversify its product portfolio from traditional freemium games to e-book products and subscription services. Apple, the Apple logo, iPhone, iPod touch and iPad are trademarks of Apple Inc., registered in the U.S. and other countries. App Store is a service mark of Apple Inc. Google Play and Android are trademarks of Google Inc.
THOMAS & FRIENDS ©2016 Gullane (Thomas) Limited. ©2016 Mattel. All Rights Reserved. ® and ™ designate U.S. trademarks of Mattel, except as noted. Animoca Brands (ASX:AB1) publishes globally a broad portfolio of over 400 mobile games, including several titles based on popular intellectual properties like Garfield, Thomas & Friends™, and Doraemon. The company's games have been downloaded over 240 million times. Visit www.animocabrands.com or follow us on Facebook, Twitter or Google+. Mattel is a creations company that inspires the wonder of childhood. Our mission is to be the recognised leader in play, learning and development worldwide. Mattel's portfolio of global consumer brands includes American Girl®, Barbie®, Fisher-Price®, Hot Wheels®, Monster High® and Thomas & Friends®, among many others. Mattel also creates a wealth of lines and products made in collaboration with leading entertainment and technology companies. With a global workforce of approximately 31,000 people, Mattel operates in 40 countries and territories and sells products in more than 150 nations. Visit us online at www.mattel.com. Thomas the Tank Engine™ was created by a father for his son 70 years ago and today is enjoyed by families in more than 300 territories and in over 40 languages. The No.1 blue engine and his friends invite children to enter a world of imagination through the tracks of a train and the words of a story. Children embark on adventures with their engine friends while experiencing timeless life lessons of discovery, friendship and cooperation. Thomas & Friends makes tracks to great destinations on PBS KIDS® in the US and on Five's Milkshake! and Nick Jr in the UK and on CCTV in China. Downloadable episodes are available through iTunes. For more information about the world of Thomas the Tank Engine™ and his friends, please visit www.thomasandfriends.com.